I highly recommend Consumer Magazine's "Do Not Knock" stickers. I got a handful from the Resene shop a year or three back and have only had one salesperson knock in all that time. They left quickly when I pointed at the sticker, and the company apologised when I mentioned it on Twitter. Doesn't keep the religious types away though. I have to say from talking to others, trustpower sales reps are starting to get as bad as the old slingshot marketing department and their subcontractors. This fella had the balls to come up and knock on my door - even though i have broadband equipment all over the place and he had to walk past my signwritten taylor broadband vehicle to get to my door. "Those who walk in the valley in the shadow of death, shall fear no evil"
He didn't quite understand so I tried to sign him up to taylor broadband for his house instead. I feel somewhat bad for the people who do door knocking. I wonder if they get paid a commission only, or if they are just on an hourly rate, or both. mattwnz: I wonder if they get paid a commission only, or if they are just on an hourly rate, or both. I believe it's likely to be both. Legally, they must be paid sufficiently that they hourly rate they are working at (i.e. the amount paid divided by the number hours worked) is at least the minimum wage. (Note I said "legally"; there is sufficient evidence in the press to suggest this isn't always the case). They will also have sales targets, and they'll be getting bonuses for reaching/exceeding these targets. It's entirely possible that someone who completely fails to get anywhere near a target also won't earn sufficient to meet the "minimum wage"; which is where the whole thing starts getting legally dodgy. Had a Trustpower sales rep come to my house, He asked me what I currently pay for internet. I tell him what I currently pay for gigabit. He says that he can offer me a cheaper price, and tells me the price for 200/20. I ask how much for gigabit, And I say that if I wanted to save money. I could just ask my current ISP to switch me to a slower plan. He says that they don't offer gigabit. (happened at least 6 months ago, so presume that Trustpower have only started offering gigabit recently). And that 200/20 is still very fast. I asked if he could at least offer a faster upload speed. He says that I don't need a faster upload speed (very bad idea trying to tell me that). So he changes tact, and asks to see my power bill. I dig out a Flick Electric bill from a week when the wholesale prices were really low, and ask him if he could beat that pricing. And do Trustpower offer a peak / offpeak pricing plan? He looked at the total bill for the week, and said he could beat it (technically true, as I was on standard user at the time, and my total usage at the time meant that a low user plan would be better. It was also Summer, so low power usage). I pointed out the low per unit costs with Flick. And asked if he can beat them. As I told him that Trustpower's marginal power price is still way higher than Flick. And that If I am deciding whether or not to switch something on, the cost of switching it on is way higher with Trustpower. And finally the TV. He said that I could get a brand new 50" TV. I said that I don't watch TV, so why would I want a TV? He said that it is brand new and free, so why not? I said that it actually isn't free. And we went round in circles a few times. I managed to delay him for at least 30 min, maybe closer to an hour. Have so far not had Trustpower visit me again. Im probably on an internal Trustpower blacklist now. 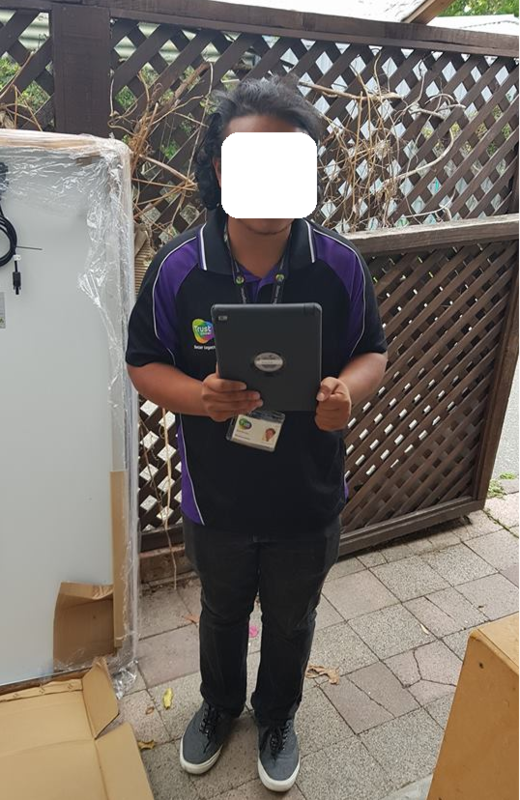 Have also seen Trustpower reps visiting other properties, where they use the Chorus website to identify properties that are in UFB areas, which are not yet connected to UFB. And then tell the occupants that they will get much faster internet if they switch to Trustpower. (showing the occupants the Chorus website on a tablet, on the page that says that faster speeds are available). And implying that they have to switch to Trustpower, to get those speeds. I don't know the answer to this question, but many organisations get around minimum wage requirements by having people as 'independent contractors' instead of 'employees'. Perfectly legal if structured correctly but morally repugnant. We had religious neighbours (latter day saints but can't quite remember exactly) at a previous address. They were really nice, our kids played well together etc... and on friendly terms. After moving to a new suburb, we had a knock at the door and it was our old neighbours dressed up nicely and ready to give us the "God loves you" talk and pamphlets. They were really embarrassed and after a hello and "hows things going" etc they moved on haha. Personally, I don't mind them so much. Better that than gang members. Hearing a car coming down the gravel driveway is our only doorbell, and because we're not in an urban environment, to have someone knocking unexpectedly on our door is highly unusual and to me a complete invasion of my privacy - hence they get both barrels now, kids or no kids.... with any luck it will put the kids off following in their deluded parents footsteps. We’ve only ever had power. They did try to get us on to broadband, free tv etc but no thanks. After visiting powerswitch this morning I am now looking at other cheaper power suppliers. I did my own calcs based on our actual summer/winter electricity and gas usage and found trustpower to be the most expensive, followed by Contact . In the end , I signed up to genesis but only after getting a special deal from them (we are on power and gas which makes it twice the amount of work to compare). Genesis did end up being 10% or so cheaper than the cheapest alternative (excluding wholesale retailers like flick). One thing I can say, the power companies do their best to obfuscate true costs by offering on time payment discounts, rebates, free swag, multi product discounts, payment type discount (cc fees), etc. They will also use gst in different ways so you need to be careful to ensure consistent use of inc/exc gst when doing your usage calcs. Our gas powered underfloor heating was not as economic as our architect promised. We expected lower bills but instead ended up with $800 to $900 a month gas+electricity bills in winter. After negotiating better rates on electricity and gas, we are now paying between $350-$450 per month combined in winter for the same level of heating. Which seems reasonable. Yes I agree. People just trying to make an honest living. Many people on this forum would be on a good wicket I assume and that's great and no doubt the product of hard work and some luck. But if someones willing to knock on doors day in and day out, that's shows strength of character in my opinion. I always say good luck and offer a word of encouragement (I certainly wouldn't be taking photographs of them). Fortunately the labour market is pretty mobile and for many door-to-door sales folk (including those on their OE) other opportunities will come up in due course.